2018 goals for the global community team: suggestions time! Please consider this an open thread for suggestions about what this team ought to focus on and/or try to accomplish in 2018. Once the group has had time to make suggestions, we’ll recruit someone to summarize all the suggestions (example), and then discuss as a group, to set priorities. What would do you think the global community team should work on, in 2018? In countries (For e.g. India) where funds for WordCamps aren’t managed directly by WordPress Foundation, Setting up a local entity controlled by WordPress Foundation to run the monies. Also YES YES YES, for WordCamp Torino we submitted the budget with the site tool, but I end up managing everything with a spreadsheet to keep it up to date. i love all this list. 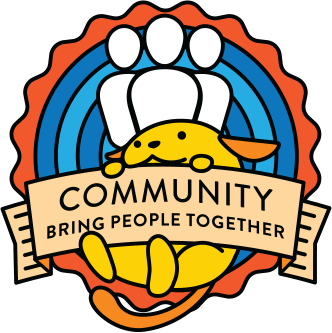 Regional News – new events, new WordCamps etc. Session evaluations available for event tracking. Meetup redesign threw some monkey-wrenches in attendance tracking and visibility of pages with information of Five Good faith rules, as well as how to suggest an event. Emails hardly reach anyone. Increase usage of the Planning Checklist tool, to make sure important planning steps are completed. Maybe add an unintrusive progress bar on all wp-admin screens, showing what % of items are complete. While I found this immensely helpful as a Mentor, I don’t think its’s granular enough for Organisers. I don’t think we moved over all the tasks that were in the Milestones Spreadsheet, haven’t we? More meetup events this year! If we keep growing the way we’ve been growing, we’ll add another 200 groups this year. It would be cool to see if we could reach 6,000 meetup events in the chapter by the end of the year. Expand Global Community Sponsor program to include a new support level that requires smaller buy-in than current levels. Conceptually between the current “a la carte” program and full GCS participation. Project management tools for the team. Unless I completely missed it, I don’t think we wrapped up 2017 yet and I think it’s become more and more difficult to keep up with all the amazing ideas and ongoing projects and suggestions we have. See the list of open posts in the P2: most of them are still unresolved or were resolved but not updated. Do we have a deadline for this? The dream: version control for our handbooks and in general a better information architecture and UI for it 🙂 No idea how to do that, but still worth mentioning it. I’ve been thinking about moving some of my publishing version control into GitHub. Maybe one path to explore? @francina! There is evidently a plugin for this that Core uses on its handbook! WHAT?? I got excited. The plugin is called Revision Notes and it’s now active on our Handbooks, though it does not display publicly — it’s only visible on the back end. I got excited as well and it’s a great improvement! Localized version of wordcamp.org like de.wordpress.org somthing like de.wordcamp.org and also some localized Handbook with the local specialities. A method for sending email to WordCamp attendees that is both pretty and efficient. I’d love an automated post-WordCamp statistics report, a la my proposal here. I think this could really change how org teams set their goals. @andreamiddleton are you working on this? Summary + Priorities? What can we do to make the process of checking our goals/projects/dreams more efficient?